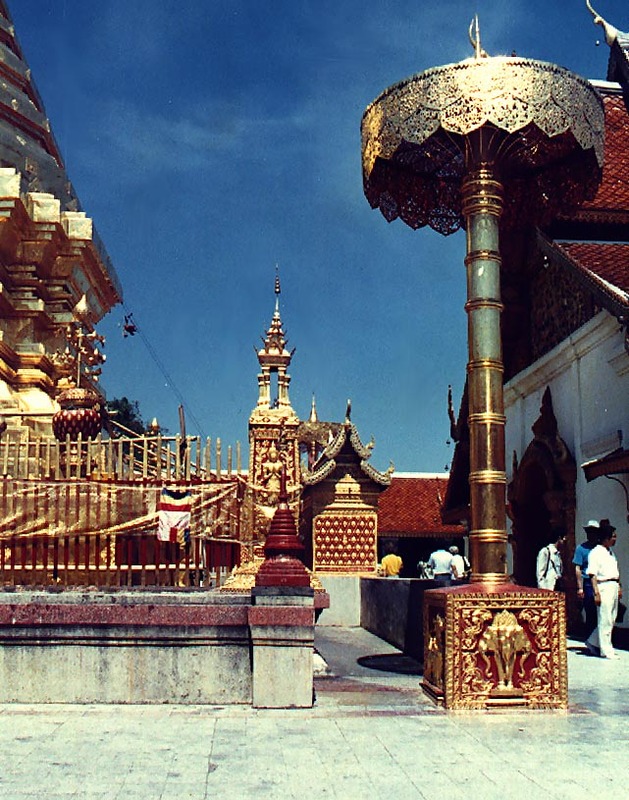 The sacred chedi of the temple from 1987. More details from around 1989. 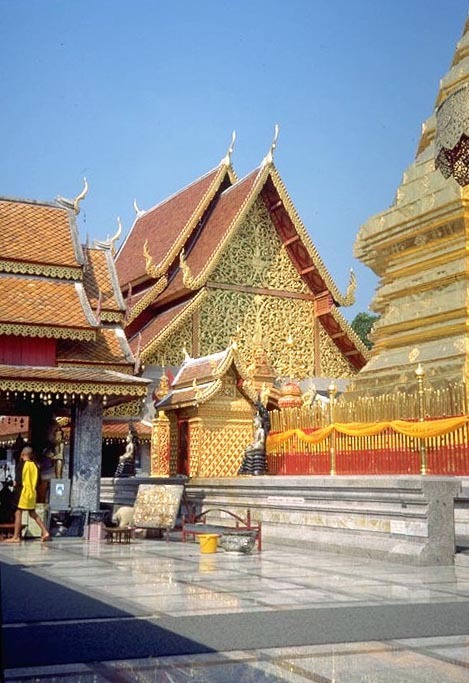 Now for the bad news: To reach the temple itself requires a climb up a naga staircase of 309 steps. For the faint of heart, there's also a funicular cable-car to the top which has just been re-built after several fatal crashes. The fare for the new improved funicular is 20 Baht. You can get a songthaew (a small pickup truck with seats along the sides of the covered bed) from the small market area at the corner of Manneenopparat and Chotana Roads, just outside the Changpuak Gate. A round trip, including a visit to the Doi Pui Maeo village, runs around 150 Baht. You can also book a tour in advance through our partner Viator.